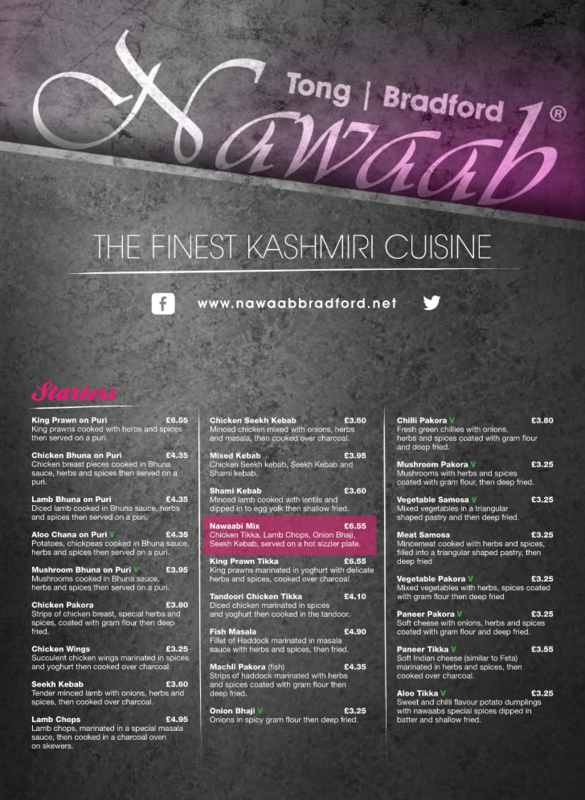 Welcome to Nawaab, in Tong, Bradford. 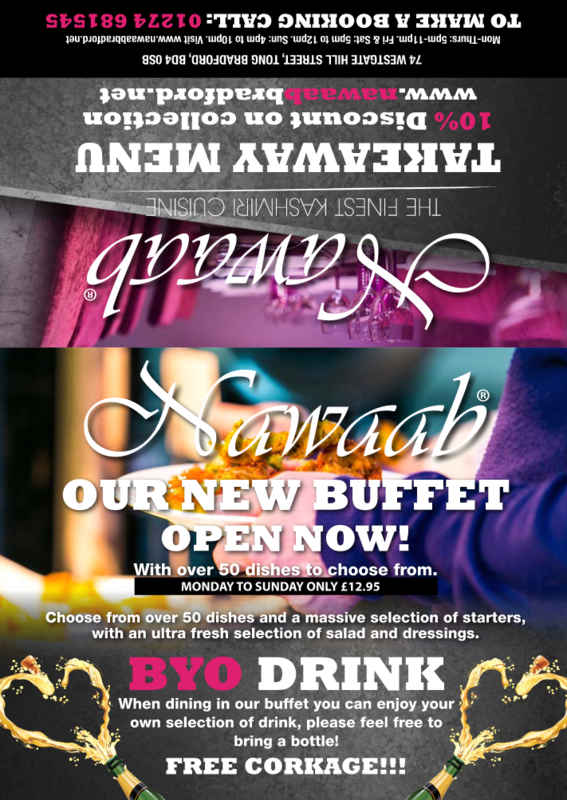 Home of the finest Kashmiri Cuisine, restaurant and buffet available. 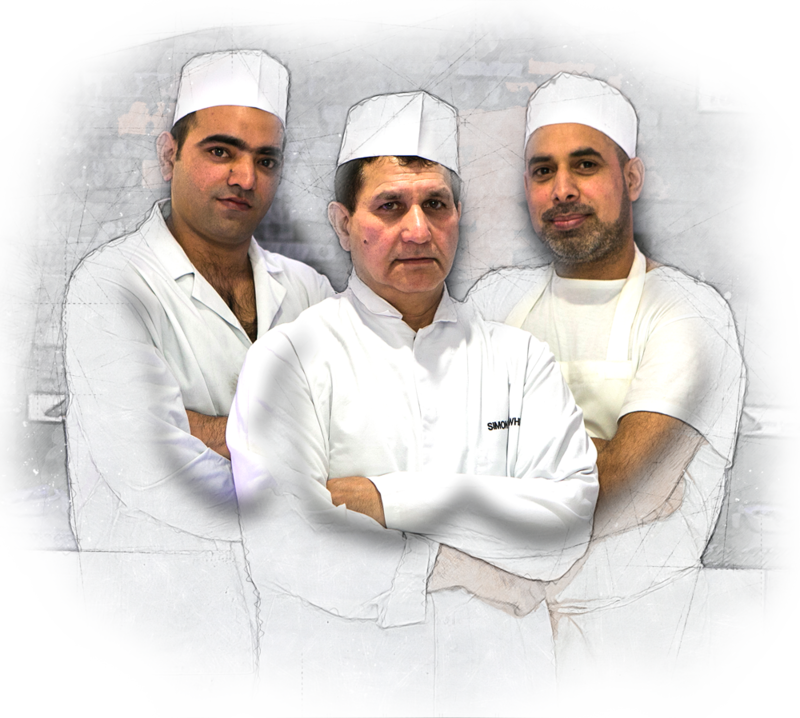 Nawaab restaurant Tong is carrying on the tradition first established in 1988 on Manor Row Bradford by owners Muhammad Ishaq and Abdul Saeed, with branches throughout Yorkshire and Europe (Spain and Mallorca). The one time entrepreneurs now seasoned in the art of Indian cuisine offer their guests mouthwatering grilled dishes and an array of starters and curries. A large range of dishes available in, Lamb, Chicken, Seafood and vegetarian options and a great selection of children’s dishes making it an ideal place for all the family to dine. Nawaab Tong offers a variety of exotic recipes bearing a distinct seal of the state. Choose from over 50 items and a massive selection of starters, with an crisp fresh selection of salad and dressings. We visited on a Saturday at 6.00 and I think the buffet had just opened. Every hot dish was hot, fresh and very tasty. If a dish became low it was quickly topped up by the chef who you can see cooking the food. WOW wonderful food wonderful people wonderful service will be back soon thank you for wonderful night! Came for the early bird menu. The food was absolutely superb and excellent value for money. I think we will be coming back on a regular basis! We come quite frequently to the buffet because the food is delicious and such a good variety of everything we want! The girls in the buffet always recognise us and treat us well- we even got some lamb chops brought over this time which was a great surprise. If you are looking for outside catering for your wedding or special occasion, we now offer a full outside catering service for your day bringing the finest flavours of the Nawaab Kashmiri cuisine to all your guests wowing them in the process. For further information please fill in our contact form. The function room is now a fully fledged buffet restaurant offering diners an extensive choice of starters mains and desserts all cooked live from the theatre kitchens.There is a great choice of chicken,lamb,seafood and vegetarian dishes to choose from including a daily fresh salad bar. 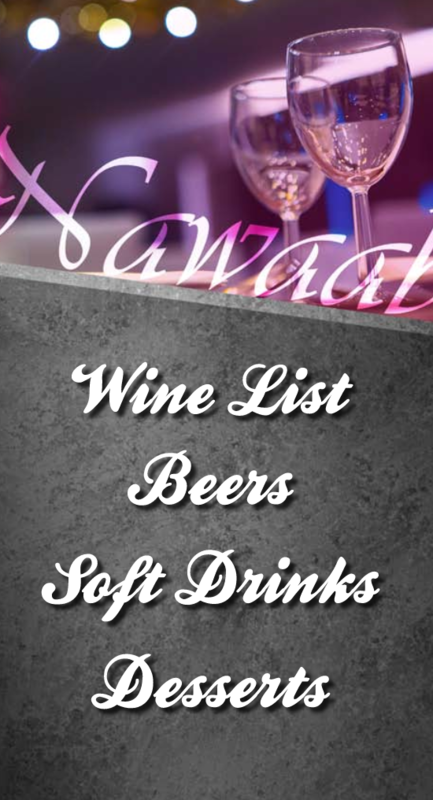 We cater for events both here and at a place of your choice with packages to suit most needs please ask for our event manager to discuss your special occasions. 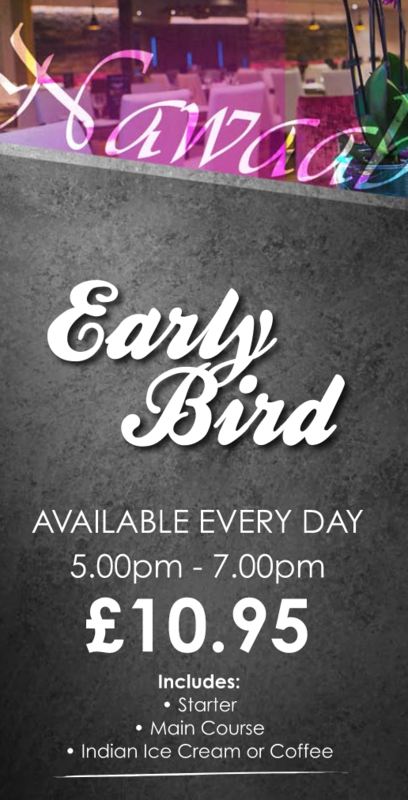 Date and time of booking and any dietary requirements.